I’ve written several times before regarding the harvesting of elvers, the young of the American eel. It’s time for another update. 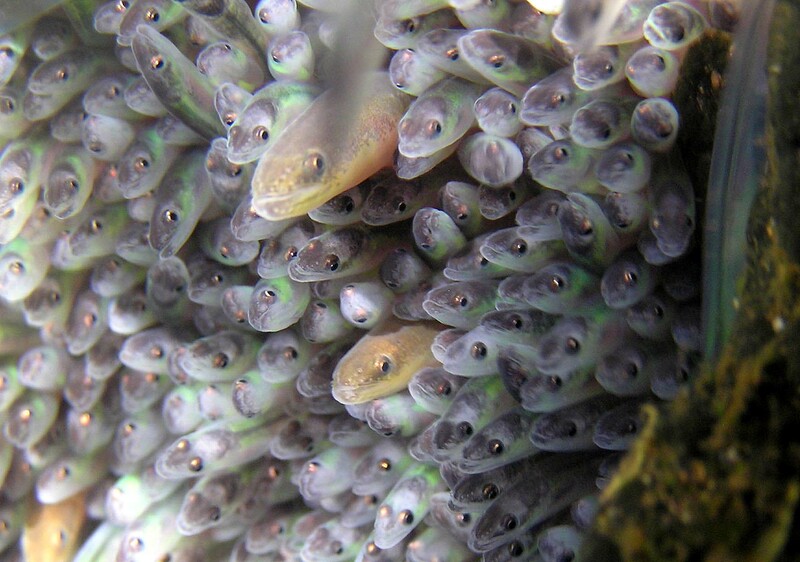 Once numerous, eel populations have dropped over the past hundred years due to a number of factors. Most of these have to do with man-made changes to the eel migration routes along the rivers of the eastern North American coastline. More recently, there have been concerns about the possible overfishing of elvers, which are harvested and sold to stock eel aquaculture farms in Asia. According to the Canadian Wildlife Federation, Canadian assessments of the American eel population levels have shown a 90% decline and as of 2007 the eel has been listed as Endangered under the Ontario Endangered Species Act. Elver harvesting is very strictly limited. South of the Canadian border, however, the economic promise of high elver prices in a depressed economy has proven a strong incentive for delaying any far-reaching decisions on further regulations and licensing restrictions. As reported in Maine’s Portland Herald: “The Atlantic States Marine Fisheries Commission’s (ASMFC) eel management board voted to postpone passing new regulations that would go into effect in 2014, opting instead to vote on new rules next spring that would be effective in 2015, (according to) commission spokeswoman Tina Berger. 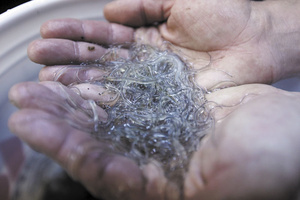 “Patrick Keliher, commissioner of DMR (Maine Department of Marine Resources), said (…) the delay in adopting new rules will allow regulators to include the most recent data on the elver fishery. “This decision will also give me time to work with [the] industry to find common ground and an approach forward,” Keliher said. New meetings between Maine state officials and fishermen have been taking place this month, during which the possibility of requiring licensed fishermen to record all sales via an electronic swipe card is being discussed. Developing a state-wide plan must also include negotiating traditional elver fishing rights held by the Passamaquoddy tribe. The state has tried to set limits on the number of licences the tribe may issue, while the tribe maintains that the state resources board does not have the authority to set limits on its licensing. The species currently is under review by the U.S. Fish and Wildlife Service for possible listing under the Endangered Species Act. For me, the situation of the enigmatic American eel, endangered on one side of an international border and fair game on the other, continues to be a case study in the collision of economics, lack of scientific baselines and studies, local and regional politics, and the general lack of interest in the decline of an animal that is neither cute nor cuddly. EDIT: I have posted a brief update regarding the 2014 elver season here.